Don't see what you're looking for? We can special order from all major brands and suppliers and will match pricing with our competitors. ​The Core regulator’s amazing breathing, which is rated as “superior” on the ANSTI breathing machine, coupled with its generous features, at an attractive mid-range price, provides the best value of any regulator offered today. The Core comes standard with Aqua Lung’s unique, patented, auto-closure device (ACD) which seals water out. A heat exchanger (patented) which surrounds the valve mechanism, dissipates the cold caused by gas expansion while drawing in the warmth of the ambient water. The Supreme cold water version is resistant to freezing when diving in waters colder than 50°F / 10°C. ​Technical divers will appreciate the versatility the M1 provides. The M1 can be switched between air and Nitrox without special cleaning or modifications and even some oxygen mixes when used within certain guidelines. This important feature is something long sought-after by the advanced diving community. Beginning divers will benefit from the simplicity combined with performance of the M1. Its patented features are expertly designed to deliver a reliable breathing flow in any underwater environment. The lightweight housing also features a super-wide exhaust deflector to keep bubbles away from a diver’s field of vision. Built from two different hardness silicone materials, the anatomically-designed mouthpiece was created as a direct result of requests and comments from Atomic customers and dealers. The Flight Regulator from Apeks is the lightest regulator in the world! This revolutionary regulator has been made using advanced composite materials selected for their optimum strength to weight ratio and is extremely easy to use. The Flight is a mid-range regulator ideal for transportation and travel, and despite its compact size its breathe performance is exceptional. This warm water regulator can be used in waters above 10 degree celsius. The Flight has been tested through over one million breathing cycles which proves its robustness and reliability. 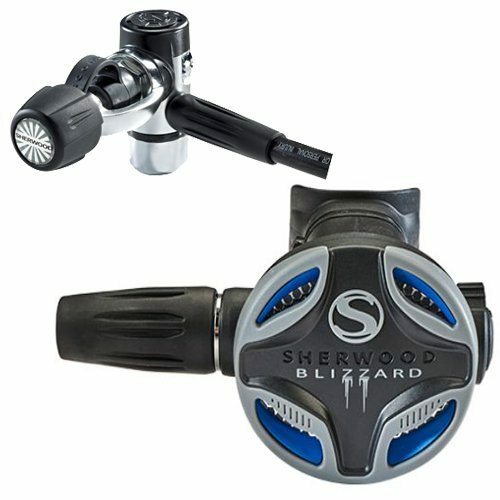 It has undergone thorough impact and fatigue testing and has a key safety feature; a unique first stage yoke clamp handwheel which prevent accidental snagging during a dive. 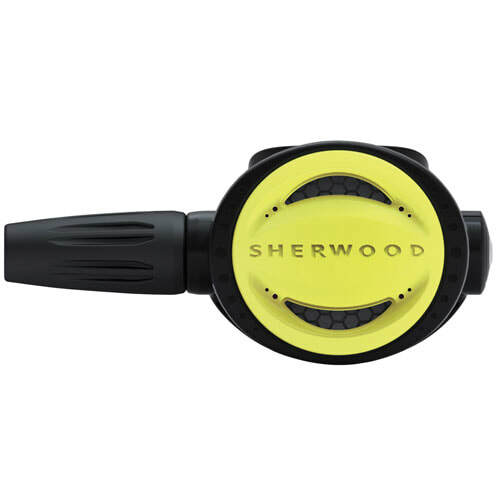 The Sherwood Blizzard is specifically designed for the extreme conditions of cold water diving and is considered to be one or the first regulator model specifically designed for these types of diving condition. This refulator has been around for more than 30 years and is time tested for its reliability in cold water. It is no wonder why it is the preferred choice for cold water divers worldwide. Although the reg is specifically designed for cold water diving it works just as good in warm water as well. 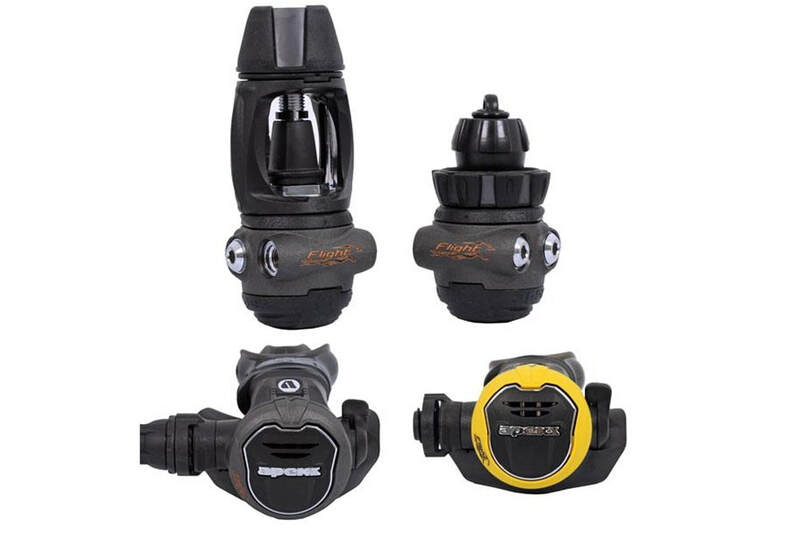 So, you basically get two scuba regulator for the price of one. ​The Core octopus provides the same great performance as the Core primary second stage. Thanks to its highly efficient heat exchanger, it is up to the rigors of cold water diving. With its 39” hi-viz yellow hose and front cover, it will be ready to provide life-sustaining air in an out-of-air situation. Compliment your Calypso and Titan regulators with this reliable, easy breathing octopus. A mid-size, high performance octopus to compliment the Titan and Calypso regulators. High visibility 39”yellow hose and high visibility yellow cover makes it easy to locate in an emergency. The venturi lever prevents unwanted freeflow when not in use. The XTX20 Octopus is a more affordable way to get high performance out of an Octopus. It provides the same features and performance as the XTX20 second stage and includes left / right hand reversibility. It comes with a high visibility yellow front cover and a 36” yellow hose. It is designed for water temperatures above 50º F (10º C). This octopus has been the overwhelming favorite for rental applications for decades because of its simple reliability. Regulator has a large diaphragm for optimal response to inhalation with a precision ground stainless-steel cam and Delrin lever for smooth effortless breathing. The valve mechanism is a dependable downstream demand valve. The regulator is equipped with a large quality silicone exhaust valve that decreases exhalation resistance for easy breathing.